Unlike most Ace stores, lumber is a critical part of our business model. We need consistent support from our community and local contractors to maintain a robust assortment. Give us the opportunity to bid on your next project and we will ensure your 100% customer satisfaction! 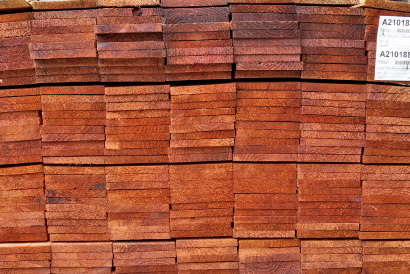 We carry a full assortment of lumber for both interior and exterior use. We stock a range of sizes. Types include Douglas Fir, Redwood, Pine, to Zuri Synthetic Decking and Thermal Wood. We also carry plywood, sheet rock, and live edge wood slabs. We can custom cut lengths to your specifications in-house. We have knowledgeable staff who can assist DIYers with measuring out a project and determining your precise lumber needs. Experienced contractors will find we have an expansive assortment and are competitive with our pricing. For purchases over $1000 we will price match our competitors on the same quality/grade product or give you a $100 gift certificate to use on anything in our store. We have a dedicated team to work with you to build out the materials list for your project and generate a bid. We are confident in our products and service and hope that you will give us the chance to show you we are serious about lumber! Let us earn your business!